Zo oversees all of our work and some of her favorite treats are: carrots, apples, peppermints in any form and demerara sugar. To supply Zo with all of the aforementioned treats, Zo's human partner--along with two friends--started ltl images which has two equestrian clipart packages. 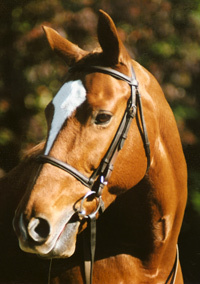 Our 1st package contains primarily ENGLISH riding images--over 50 images from original drawings. There are single images of a number of different horse heads, an english riding boot, an english saddle, a couple of dressage images, a couple of really nifty round images with multiple horse heads. We have also manipulated some of the images so that for example, there are a series of english riding boots in a corner motif--one for each corner of a page, there is a nice foal head image that we multiplied so that the heads march across a page. Our 2nd package contains WESTERN riding images--over 70 images from original drawings. There is a western hat, western boots, a number of different horse heads, a reiner, a wp rider and horse, 2 spinning horses (one plain, one paint) another paint, western saddle pads, western bits, part of a western bridle, a couple of western saddles and a lot of other images. As with our first package, we have manipulated some of the images so that there are for example, multiple western hats that run across a page, multiple boots, multiple spinning horses, multiple bits. There are also some corner images. Because many people do not have graphic software, all our images have a matching reverse image. For example, if a horse head faces left there is also the same one facing right. All images are in TIFF format which most any software will allow you to import. When you order, In addition to the cd, you will also receive a series of pages that have thumbnail images with the file names--it has always driven us crazy when you get a clipart package and you don't know which image is what. For information on pricing, please email us using the address below.